Congratulations are obviously in order for Queen Elizabeth II who overtook Queen Victoria’s previously held title as the longest-reigning monarch in British history. Yesterday marked her 63rd year on the throne. Seeing as how I haven’t had as much time to dedicate a post to her for this occasion, and I figured other sites would have far better posts for her, I figured a little shout out will have to do for now. 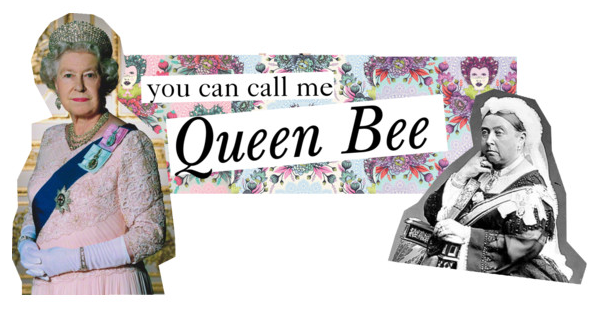 For other Queen Elizabeth posts here at Duchess-at-Large, click here. 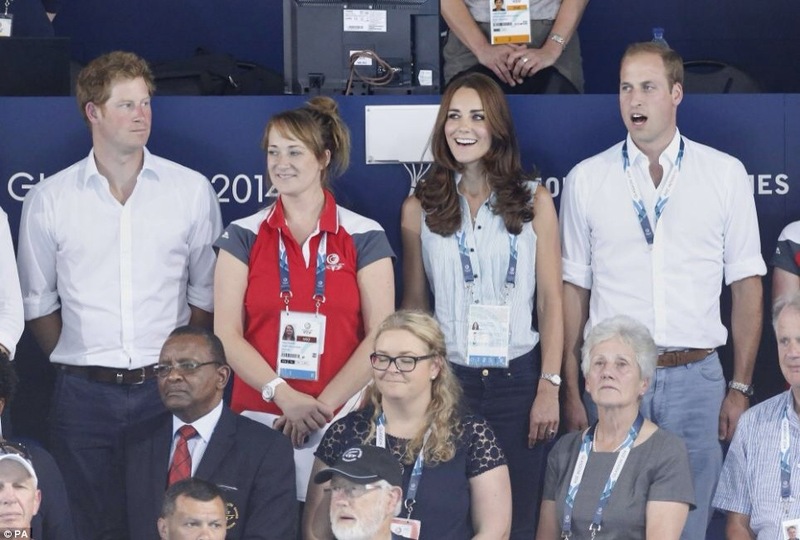 The Commonwealth Games kicked off last week in Glasgow, and so far have produced two incredible royal snaps. 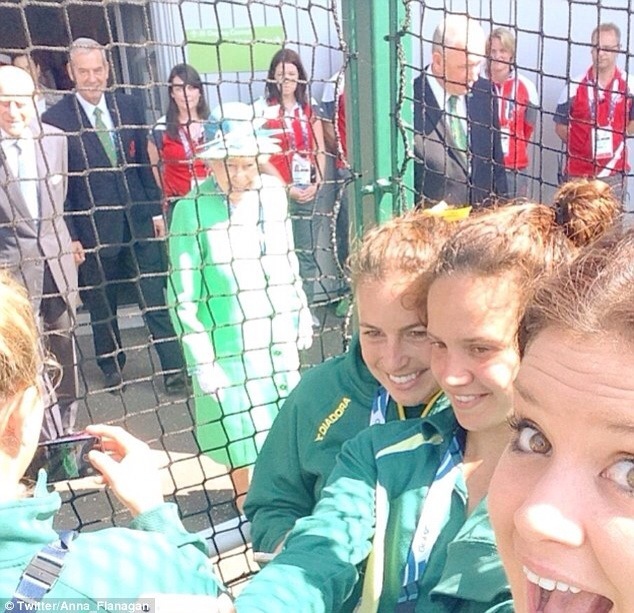 First, members of the Australian hockey team were epically photobombed by Her Majesty herself (she’s even smiling!). 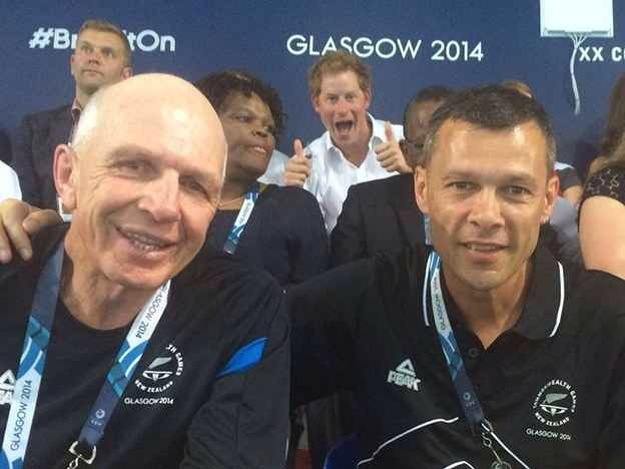 Then, Prince Harry followed in his sassy grandmother’s footsteps with another photobomb for the books. 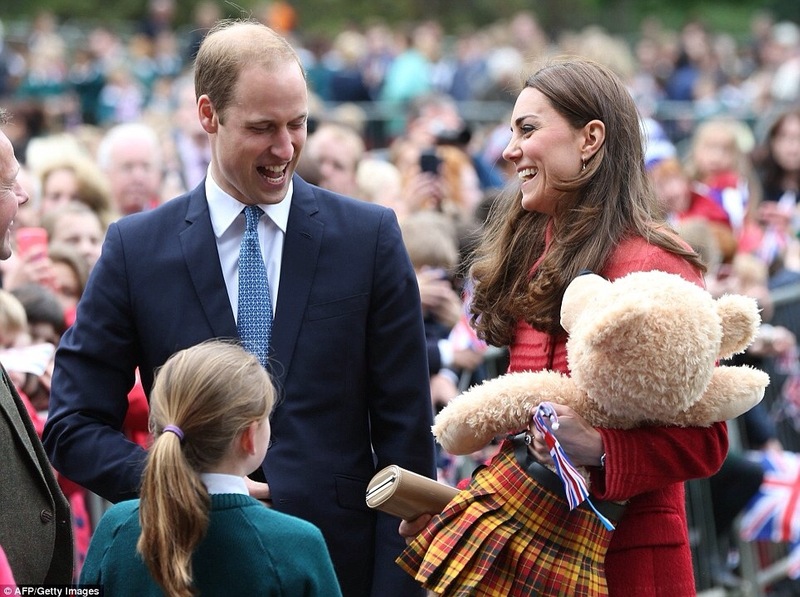 Meanwhile, not to be outdone, the future King and Queen of England were hamming it up for the cameras, too. 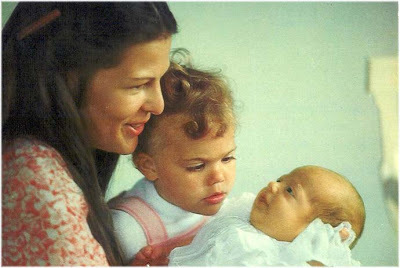 I love seeing childhood photos of anyone–especially when they’re our favorite royals! 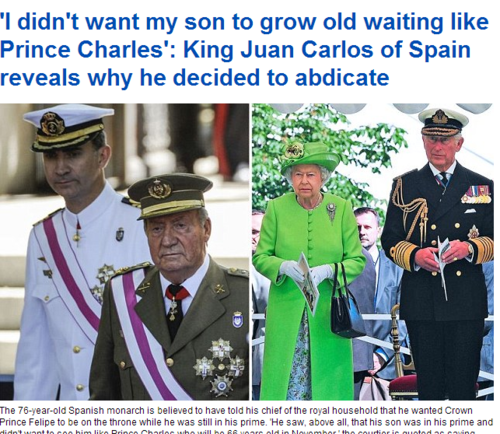 What do you think: Should Queen Elizabeth II pass the crown to Charles? Queen Elizabeth II and the Duke of Edinburgh attended Household Cavalry Standards Parade. Queen Maxima of the Netherlands attended World MS Day. Crown Prince Frederik turned 46. Princess Anne, the Queen, Prince Philip, and Prince Harry showed support for Blues and Royals regiment at garden party. 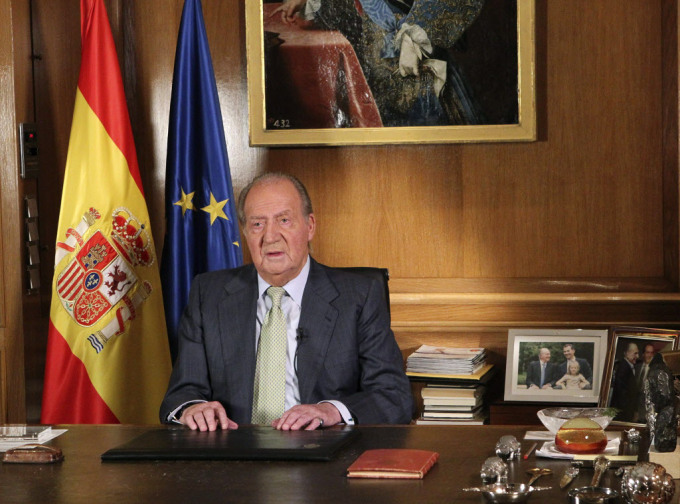 Spanish royals attended ‘Rey de Espana’ and ‘Don Quijote’ Journalism Awards 2014. Queen Silvia of Sweden attended an international conference for children’s rights. Prince Albert II and Princess Charlene announced pregnancy. Kate made first appearance since tour (pictured above). Rumors abound after Crown Prince Frederik and Mary celebrate ten years. Prince Harry has had a busy month. The latest including playing rugby with little kids, and flirting with a mystery blonde. Mayor declined charity donation from profits of Kate’s bum photo. The Daily Beast had two takes on the Kate Debate: one in defense and one not impressed. The Hollywood Reporter did a piece on the not-so-glamorous side of Monaco royals. Prince Charles compared Putin to Hitler during an official event on his and Camilla’s Canada Tour. Prince Carl Philip celebrated his 35th birthday. Prince George met his second-cousin Mia. Crown Princess Victoria and Crown Prince Daniel met with the mayor of Hamburg for the second time. The Queen visited the Chelsea Flower Show. Prince Albert II went to a Louis Vuitton fashion show instead of his daughter’s graduation. 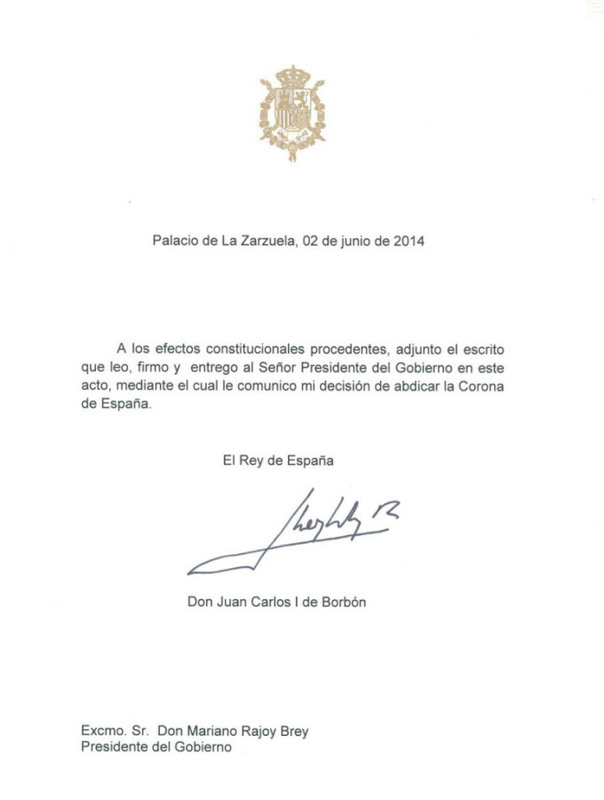 Princess Elena of Spain attended bullfight. Prince Gabriel, son of Prince Louis and Princess Tessy of Luxembourg, celebrated his First Communion. Royals celebrated 200th anniversary of Norway’s constitution at Danish Royal Opera House gala. Kate won ‘best smile’ and ‘best hair’ of 2014. Kim Kardashian reportedly (?) invited the Duchess of Cambridge to her wedding. 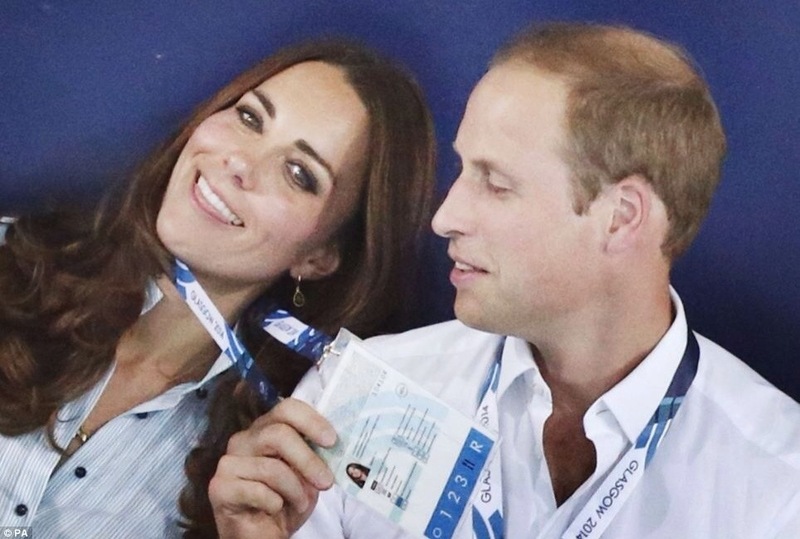 OK Magazine claims Kate pregnant with twin girls. Prince Joachim and Princess Marie of Denmark celebrate sixth wedding anniversary. Who wore it better: Crown Princess Victoria vs. Natalie Portman. The ‘oddest part‘ of ‘I Wanna Marry ‘Harry” according to one writer.